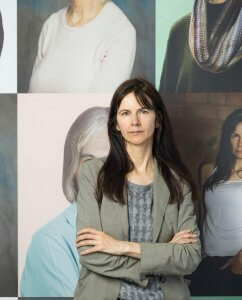 Gillian Wearing lives and works in London. She won the Turner Prize in 1997 and was awarded an OBE in 2011. Currently, Wearing has a solo show opening at The National Gallery of Denmark, Copenhagen in October 2017 and has been commissioned to create the statue of suffragist leader Millicent Fawcett in Parliament Square for 2018. Recent solo exhibitions include Behind the mask, another mask: Gillian Wearing and Claude Cahun, National Portrait Gallery, London, 2017; Sandra and Gerald Fineberg Art Wall, ICA Boston, 2016; Instituto Valenciano de Arte Moderno, IVAM, Valencia, 2015; A Real Birmingham Family, Centenary Square, Library of Birmingham. Birmingham, 2014. Solo publications include Gillian Wearing, Whitechapel Gallery and Ridinghouse, London, 2012; Family History, Film and Video Umbrella and Maureen Paley, London, in association with Artists in the City, Reading and Ikon Gallery, Birmingham, 2007; Gillian Wearing, Serpentine Gallery, London, 2000.